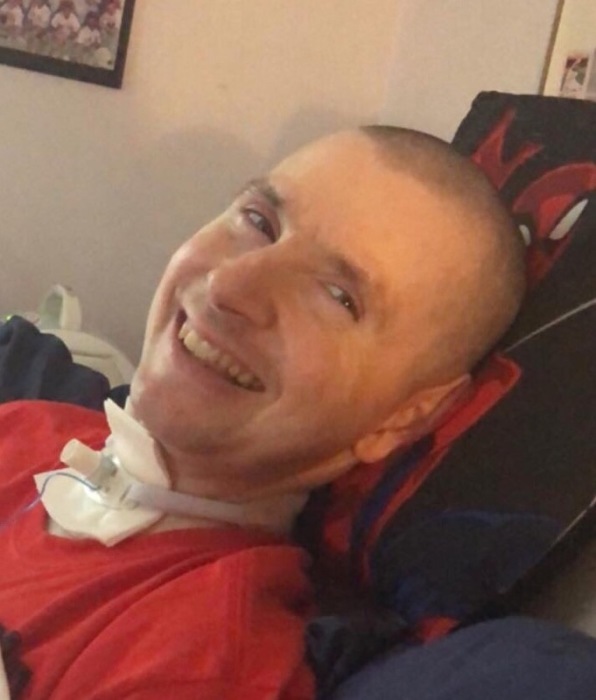 Richard R. Doucette Jr., age 43 years, of Lynn died Monday at his home surrounded by his family after complications from Muscular Dystrophy. Born in Saugus, he was the son of Richard Sr. and Anne (McGrath) Doucette of Lynn. Richard attended Lynn schools and graduated from Lynn Vocational Technical Institute, Class of 1996. He enjoyed playing video games, listening to music and sports. He was an avid fan of all Boston Sports Teamse enjoyed . Most of all he enjoyed spending time with his family. In addition to his parents he is survived by his paternal grandmother Lina Doucette of Lynn, three sisters Susan and Husband Henry Sacco, Jr. of Laconia, NH, Michelle A. Doucette of Lynn, Amanda and her husband Nicholas Dandy of Lynn, nieces and nephews Ariel Nall, Henry Sacco, III, Anthony Doucette, Alexis Denham, and one great nephew Wyatt Nall. Service Details: Funeral services will be held at the Parker Funeral Home 35 Franklin St. Lynn on Thursday at 7:00 PM, visiting will be prior to services from 3:00 – 7:00 PM to which relatives and friends are invited to attend. Please make memorial donations in Richard’s name to the Muscular Dystrophy Association.